For the explanation of Wikipedia policy on paraphrasing of copyrighted material, see Wikipedia:Close paraphrasing. Paraphrasing of copyrighted material may reduce the probability that a court will find that copyright has been infringed; however, there have been many cases where a paraphrase that uses quite different words and sentence structure has been found to infringe on a prior work's copyright. The acceptable degree of difference between a prior work and a paraphrase depends on a variety of factors and ultimately depends on the judgement of the court in each individual case. Johann Heinrich Zedler's right to publish his Universal-Lexicon was challenged on the grounds that an encyclopedia must always paraphrase other works. An early example of the concept of paraphrasing as a copyright issue arose with Johann Heinrich Zedler's application in 1730 for copyright protection in Saxony for his Grosses vollständiges Universal-Lexicon, one of the first encyclopedias. The publisher of a rival General Historical Lexicon said that Zedler's Universal Lexicon would not differ in content from this and other existing lexicons apart from paraphrasing. On 16 October 1730, the Upper Consistory court in Dresden rejected Zedler's request, and warned that he would be subject to confiscation and a fine if he reproduced any material from the General Historical Lexicon in his Universal Lexicon. Laws on the degree of copying or paraphrasing that is considered permissible have become steadily more restrictive over the years. In his 2008 book Copyright's Paradox, discussing the conflict between protecting copyright and protecting free speech, Neil Netanel says, "Yeats [borrowed] from Shelley; Kafka from Kleist and Dickens; Joyce from Homer; and T.S. Eliot from Shakespeare, Whitman and Baudelaire, all in ways that would infringe today's bloated copyright." Paraphrase may apply to music as well as to writing. It was commonplace for Baroque, Classical and Romantic composers to create variations on each other's work without permission. This would not be allowed today. Copyright protection in Britain dates back to the 1556 Charter of the Worshipful Company of Stationers and Newspaper Makers. The Licensing of the Press Act 1662 gave publishers exclusive printing rights, but did not give any rights to authors. Parliament failed to renew the act in 1694, primarily to remove monopoly and encourage a free press. The Statute of Anne in 1710 prescribed a copyright term of fourteen years, and let the author renew for another fourteen years, after which the work went into the public domain. Over the years, additional acts and case law steadily refined the definitions of what could be protected, including derivative works, and the degree of protection given. The Soviet Union's Copyright Act of 1925 in essence said that a work created by a minimal paraphrase of an existing text could be considered a new work eligible for copyright. By 1991, the Copyright law of the Soviet Union had evolved to give much more protection to the author. Free use, similar to the English common law concept of fair use, was only allowed if it did not infringe upon the normal exploitation of the work or the legitimate interests of the author. Moral rights are rights of creators of copyrighted works that are generally recognized in civil law jurisdictions and, to a lesser extent, in some common law jurisdictions. They include the right of attribution and the right to the integrity of the work, which bars the work from alteration, distortion, or mutilation without the author's permission. Paraphrasing without permission may be seen as violating moral rights. Moral rights are distinct from any economic rights tied to copyrights. Even if the author has assigned their copyright to a third party, they still maintain the moral rights to the work. Moral rights were first recognized in France and Germany. They were included in the Berne Convention for the Protection of Literary and Artistic Works in 1928. While the United States became a signatory to the Berne convention in 1989, it does not completely recognize moral rights as part of copyright law, which is seen as protecting commercial rights in intellectual property, but as part of other bodies of law such as defamation or unfair competition which protect the reputation of the author. Edward Gibbon was more concerned about poor translations of his book than about copyright violations. Edward Gibbon published the last three volumes of his masterpiece The History of the Decline and Fall of the Roman Empire in 1788, at a time when both copyright and moral rights were poorly enforced. With a small private income, he was not dependent on sales but was more concerned about the damage to his reputation from poor translations, a form of paraphrasing. He wrote, "The French, Italian and German translations have been executed with various success; but instead of patronizing, I should willingly suppress such imperfect copes which injure the character while they propagate the name of the author. The Irish pirates are at once my friends and my enemies...."
By the start of the twentieth century, U.S. decisions on unfair competition found that representing as the author's work a version of the work that substantially departed from the original was a cause of action. Section §43(a) of the Lanham Act, which protects brands and trademarks, also provides similar protection to laws based on moral rights. For any goods or services, it bans false designation of origin or a false description or representation. In Gilliam v. American Broadcasting the British comedy group called Monty Python took action against the ABC network for broadcasting versions of their programs which had been correctly attributed to them but had been extensively edited, in part to remove content that their audience might consider offensive or obscene. The judgement of the United States Court of Appeals for the Second Circuit was in favor of Monty Python, finding the cuts might be an "actionable mutilation" that violated the Lanham Act. These principles apply both to literal copies and to paraphrases. Judges are required to consider these factors, but may also take others into consideration, and may choose what weight they apply to each factor. According to the U.S. Court of Appeals for the Second Circuit in Wainwright Securities v. Wall Street Transcript Corp (1977), "The fair use doctrine offers a means of balancing the exclusive rights of a copyright holder with the public's interest in dissemination of information affecting areas of universal concern, such as art, science and industry." Claims of fair use in copying or paraphrasing are more likely to succeed when the work being copied is factual. In Harper & Row v. Nation Enterprises the Supreme Court of the United States said, "the law generally recognizes a greater need to disseminate factual works than works of fiction or fantasy." However, the court went on to quote Gorman, Fact or Fancy? The Implications for Copyright (1982) which said, "[E]ven within the field of fact works, there are gradations as to the relative proportion of fact and fancy. One may move from sparsely embellished maps and directories to elegantly written biography. The extent to which one must permit expressive language to be copied, in order to assure dissemination of the underlying facts, will thus vary from case to case." President Gerald Ford at the hearing on pardoning former President Richard Nixon. When The Nation magazine published excerpts of Ford's unpublished memoir describing his reason for pardoning Nixon, the Supreme Court ruled that copyright was infringed even though Ford was a public figure describing a public event. Use of a work for critical commentary is generally considered fair, as long as the commentary is indeed about the substance or style of the original work. Parody may be seen as a form of commentary, and to be effective must copy or paraphrase many of the elements of creative expression in the work being parodied. Although courts have differed in the past about how closely a parody can copy an original work, the U.S. Supreme Court in Campbell v. Acuff-Rose Music, Inc. (1994) ruled strongly: "[P]arody has an obvious claim to transformative value... Like less ostensibly humorous forms of criticism, it can provide social benefit, by shedding light on an earlier work, and in the process, creating a new one. We thus line up with the courts that have held the parody, like other comment or criticism, may claim fair use under §107." Unpublished works have special status under both moral rights and copyright, since the author or copyright owner has the right to control first publication. Publication of an excerpt or paraphrase of an unpublished work may infringe that right. An author wishing to quote or even loosely paraphrase an unpublished work in France can only do so with permission from the author. In Harper & Row v. Nation Enterprises (1985) the United States Supreme Court held that "under ordinary circumstances, the author's right to control the first public appearance of his undisseminated expression will outweigh a claim of fair use." The U.S. Court of Appeals for the Second Circuit in Salinger v. Random House, which concerned a biography in which a number of unpublished letters by the subject had been paraphrased, similarly concluded that the copyright owner's right to control publication took precedence over "fair use", so even limited paraphrasing was unacceptable. This drew support from those concerned with the rights of an individual to privacy and criticism from those more interested in the public "right to know." In 1992 the Copyright Act was amended as a result of the Salinger case to include a sentence at the end of §107 saying that the fact that a work is unpublished "shall not itself bar a finding of fair use if such finding is made upon consideration" of all four fair-use factors. A paraphrase is a restatement of the meaning of a text or passage using other words. Equivalent concepts apply to images or music. In most countries, copyright applies to the original expression in a work rather than to the meanings or ideas being expressed. A loose paraphrase of a portion of a work may therefore be published without violating copyright. If the paraphrase is so different that the expression in the derivative work has no similarity to that of the prior work, there is no infringement. In See v. Durang (1983) the United States Court of Appeals for the Ninth Circuit found "Copying deleted or so disguised as to be unrecognizable is not copying." But courts have struggled to find a clear method of comparing a paraphrase or derivative to a prior work to determine whether the copyright in the original expression has been infringed. 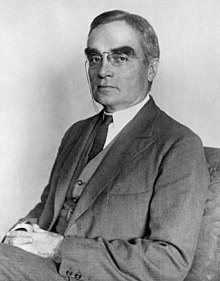 Judge Learned Hand gave a seminal description of the idea/expression dichotomy in his 1930 judgement on Nichols v. Universal Pictures Corporation. Upon any work, and especially upon a play, a great number of patterns of increasing generality will fit equally well, as more and more of the incident is left out. The last may perhaps be no more than the most general statement of what the play is about, and at times might consist only of its title; but there is a point in this series of abstractions where they are no longer protected, since otherwise the playwright could prevent the use of his "ideas," to which, apart from their expression, his property is never extended ... Nobody has ever been able to fix that boundary, and nobody ever can. The plaintiff in a copyright case must show that there is "substantial similarity" between the alleged copy and the prior work. In Roth Greeting Cards v. United Card Co (1970) the U.S. Court of Appeals for the Ninth Circuit introduced the concept of "total concept and feel", holding that a work could be made up of elements that could not be copyrighted, but that the total concept and feel could be subject to copyright, and would be considered to be infringed if a normal reasonable person would consider that a disputed work was a copy of a prior work. This concept has been used in later cases such as Reyher v. Children's Television Workshop (1976), where two works derived from the same folk tale had similar plots. The U.S. Court of Appeals for the Second Circuit found that there had not been copying, since the different versions were very different in style and in detail, saying "the essence of infringement lies in taking not a general theme but its particular expression through similarities of treatment, details, scenes, events and characterization." The U.S. Court of Appeals for the Ninth Circuit in Sid & Marty Krofft Television Productions Inc. v. McDonald's Corp. (1977) refined the concept by establishing a two-stage comparison. An extrinsic test would determine similarity of general ideas, while an intrinsic test would compare the particular expressions used. Extrinsic similarity means that two works are substantially similar in their general ideas, which can be determined objectively by an expert. Intrinsic similarity means they are substantially similar in their forms of expression, and this is the more subjective test. The second test should be made by an "ordinary reasonable person" rather than an expert. Both must be true for an infringement to exist. The ideas or facts in a work are not subject to copyright protection, but the "protected expression" is. A paraphrase of a work may infringe on copyright if the "protected expression" in the paraphrase is similar to that in the prior work. Many court cases have hinged on how "protected expression" is defined and how similarity is determined. In Nutt v. National Institute Inc. (1929), Judge Martin Thomas Manton (pictured, right) ruled that even loose paraphrasing may infringe copyright. One of the earliest cases was Baker v. Selden (1879). Charles Selden had developed a new system of bookkeeping and in 1865 published a short book that described his system, with sample forms. W.C.M. Baker, who had seen Selden's book, published a similar book in 1867 describing an improved version of the system. A suit claiming copyright infringement went to the U.S. Supreme Court in 1879. The Supreme court found that Selden's idea could not be protected since there was no patent, but his description or explanation of the system was protected by copyright law, and found that Baker's book was "in large and material part identical with and infringements of the books of Selden system." The arguments and ruling differ from modern law in that there was no discussion of the expression, only of the close similarities in the ideas given in the two books. In Nutt v. National Institute Inc. (1929), Nutt was prohibited from delivering in public and for profit lectures that were similar to lectures whose copyright was held by the National Institute for the Improvement of Memory. The U.S. Court of Appeals for the Second Circuit in this case found that the protected expression is more than the literal words but also includes the "association, presentation, and combination of the ideas and thought which go to make up the [author's] literary composition." The court said "The infringement need not be a complete or exact copy. Paraphrasing or copying with evasion is an infringement, even though there may be little or no conceivable identity between the two." Original: "And second, he says that likely to aid comparisons this year was the surprisingly limited extent to which Fiber Divisions losses shrank last year." Paraphrase: "The second development likely to aid comparisons this year was the surprisingly limited extent to which the Fiber Division's losses shrank last year." In Wright v. Warner Books (1991) the court found that use of paraphrases and sparing excerpts from unpublished work by Richard Wright (pictured) was fair. Original: "He looks to me like a guy who makes his wife keep a scrapbook for him"
Paraphrase: "[Salinger] had fingered [Wilkie] as the sort of fellow who makes his wife keep an album of press clippings." Despite differences in wording and sentence structure, the court found this to be a close paraphrase of a highly original expression. In this case, the close paraphrasing was considered to contribute to the "amount and substantiality" of the material that had been copied - that is, paraphrasing is a form of copying. The court also found that Hamilton's practice of including phrases like "Salinger says," or "he said" within his paraphrase could give readers of the biography the false impression that they had read Salinger's own words. They might therefore decide not to buy a collection of the original letters. The court found that this meant there would be a financial impact. The court barred publication. Original: "Ellen, Julia, and Rachel will be here on Tuesday: they'll stay for two days. Don't know what will happen when they get here. I'm hoping for peace and quiet." Paraphrase: "Early in 1960, Wright wrote to Margrit de Sabloniere that Ellen, Julia, and Rachel would be arriving for a two or three day visit. Wright said that he did not know what would happen when they arrived but that he was hoping for peace and quiet." Despite the apparent similarity, the U.S. Court of Appeals for the Second Circuit ruled that copyright had not been infringed. The paraphrasing was just "straightforward and factual reportage" of the "most basic and banal factual matter." There are cases where there is very little choice about how to express some fact or idea, so a copy or close paraphrase may be unavoidable. In this case, the "merger doctrine" comes into play. The fact or idea and the expression are seen as merged, and the expression cannot be protected. The merger doctrine is typically applied only to factual information or scientific theories, not to imaginative works such as plays or novels where the author has a much broader choice of expression. The merger doctrine has been applied to the user interface design of computer software, where similarity between icons used by two different programs is acceptable if only a very limited number of icons would be recognizable by users, such as an image looking like a page to represent a document. However, in 1994 a U.K. judge in Ibcos Computers v. Barclays Mercantile Finance cast doubt on the merger doctrine, saying he was not comfortable with the idea that "if there is only one way of expressing an idea that way is not the subject of copyright." Judge Richard Posner has argued that websites should be legally required to obtain permission before paraphrasing news sources. The term "Scenes a faire" means "obligatory scene", a scene in a play that the audience "has been permitted to foresee and to desire from the progress of the action; and such a scene can never be omitted without a consequent dissatisfaction." The term was applied to copyright law in Cain v. Universal Pictures (1942), where the United States District Court for the Southern District of California ruled that "... similarities and incidental details necessary to the environment or setting of an action are not the material of which copyrightable originality consists." The concept has been used by U.S. and U.K. courts. The term is used both in the sense of a scene that follows inevitably from a situation, or a standard scene that is always included in a particular genre of work. Another court said "Under the ... doctrine of scènes à faire, courts will not protect a copyrighted work from infringement if the expression embodied in the work necessarily flows from a commonplace idea." The concept has been extended to computer software, where some aspects may be dictated by the problem to be solved, or may be standard programming techniques. Publishers may formally allow limited quotation but prohibit paraphrasing, since they do not want readers to mistake the paraphrase for the original work. In this case they would prohibit alteration of the work in their permission agreement. Although paraphrasing may be considered fair use under copyright law it may be considered breach of contract when the author of the paraphrase has implicitly or explicitly accepted a permission agreement. Judge Richard Posner has argued in his blog in favor of laws that require online sites to obtain permission from the copyright holder before linking to or paraphrasing copyrighted materials from newspapers. His concern is that existing laws based on fair use may not provide sufficient protection to the newspapers, who are paying for expensive news collection while the websites essentially get a free ride. Without greater protection, Judge Posner considers that the result of widespread paraphrasing of newspapers on internet sites could be a drastic reduction in the number of news-gathering sources. ^ Kirchhoff 1891, pp. 198. ^ Saint-Amour 2011, p. 31. ^ Patry 2012, p. 100. ^ Patterson 1993, pp. 9ff. ^ Levitsky 1964, p. 101. ^ Elst 2005, p. 376. ^ Rajan 2006, p. 41-42. ^ Rigamonti 2006, p. 355. ^ Kwall 2010, p. 37. ^ Kwall 2010, pp. 30ff. ^ Gibbon 2006, p. 171. ^ Winn 2006, pp. 126-127. ^ Kwall 2010, p. 30. ^ Barrett 2008, p. 162ff. ^ Perle, Fischer & Williams 1999, p. 13-30. ^ Port, Halpern & Nard 2011, p. 132. ^ Port, Halpern & Nard 2011, p. 130–131. ^ Heins & Beckles 2005, p. 17. ^ Harper & Row 1985. ^ a b SALINGER v. RANDOM HOUSE, INC 1987. ^ Perle, Fischer & Williams 1999, p. 13-7. ^ Head 2006, p. 243. ^ Fishman 2011, p. 284. ^ Browning, Choy & Ferguson 1983. ^ Bently, Davis & Ginsburg 2010, p. 190. ^ Bently, Davis & Ginsburg 2010, p. 191-192. ^ Rooijen 2010, p. 62-63. ^ a b c Sneed 1985. ^ Nimmer 2008, p. 509. ^ Samuelson 2005, p. 2ff. ^ Samuelson 2005, p. 18ff. ^ Standler 2009, p. 13. ^ American Law Book Company 1939, p. 233. ^ Fishman 2011, p. 285. ^ Fishman 2011, p. 287. ^ Saint-Amour 2011, p. 222. ^ Gaines 1992, p. 175. ^ Fishman 2011, p. 286. ^ Fishman 2011, p. 288. ^ Lai 2000, p. 47. ^ Lai 2000, p. 45. ^ Lai 2000, p. 52. ^ Lai 2000, p. 54. ^ Lai 2000, p. 53. ^ Iyer 2012, p. 53. ^ Lai 2000, p. 59. ^ Stim 2010, p. 46. American Law Book Company (1939). Corpus juris secundum: a complete restatement of the entire American law as developed by all reported cases. 18. West Publishing Company. Barrett, Margreth (2008-03-19). Intellectual Property. Aspen Publishers Online. pp. 162–. ISBN 978-0-7355-6297-4. Retrieved 2012-06-19. Bently, Lionel; Davis, Jennifer; Ginsburg, Jane C. (2010-10-28). Copyright and Piracy: An Interdisciplinary Critique. Cambridge University Press. ISBN 978-0-521-19343-6. Retrieved 2012-06-19. Browning; Choy; Ferguson (July 22, 1983). "John William SEE, Plaintiff-Appellant, v. Christopher DURANG and L.A. Stage Company, Defendants-Appellees". United States Court of Appeals, Ninth Circuit. Retrieved 2012-06-17. Burleson Enterprises (2011). "What is the Fair Use Exception to Copyright Infringement?". Rampant Techpress. Retrieved 2012-06-21. Elst, M. (2005). Copyright, Freedom of Speech, and Cultural Policy in the Russian Federation. Leiden/Boston: Martinus Nijhoff. ISBN 90-04-14087-5. Fishman, Stephen (2011-09-07). The Copyright Handbook: What Every Writer Needs to Know. Nolo. ISBN 978-1-4133-1617-9. Retrieved 2012-06-19. Gaines, Ginger A. (1992). "Wright v. Warner Books, Inc.: The Latest Chapter in the Second Circuit's Continuing Struggle with Fair Use and Unpublished Works". Fordham Intellectual Property, Media and Entertainment Law Journal. 3 (1). Retrieved 2012-06-21. Gibbon, Edward (2006-06-29). Memoirs of My Life. Penguin Books Limited. ISBN 978-0-14-195862-0. Retrieved 2012-07-04. Hamley (July 10, 1970). "ROTH GREETING CARDS, Appellant, v. UNITED CARD COMPANY, an Illinois corporation, Appellee". United States Court of Appeals, Ninth Circuit. Retrieved 2012-06-24. Hand, Learned (November 10, 1930). "NICHOLS v. UNIVERSAL PICTURES CORPORATION et al". Archived from the original on July 17, 2012. Retrieved 2012-06-19. "Harper & Row v. Nation Enterprises - 471 U.S. 539 (1985)". U.S. Supreme Court. May 20, 1985. Retrieved 2012-07-05. Head, Dominic (2006-01-26). The Cambridge Guide To Literature In English. Cambridge University Press. ISBN 978-0-521-83179-6. Retrieved 2012-06-19. Heins, Marjorie; Beckles, Tricia (2005). Will Fair Use Survive? Free Expression in the Age of Copyright Control. Marjorie Heins. GGKEY:5X0P6XZSTRP. Retrieved 2012-06-19. Iyer, Vivek (2012). Ghalib, Gandhi & the Gita. Polyglot Publications London. ISBN 978-0-9550628-3-4. Retrieved 2012-06-19. Kwall, Roberta Rosenthal (2010). The Soul of Creativity: Forging a Moral Rights Law for the United States. Stanford University Press. pp. 15–. ISBN 978-0-8047-5643-3. Retrieved 2012-06-21. Lai, Stanley (2000). The Copyright Protection of Computer Software in the United Kingdom. Hart Publishing. ISBN 978-1-84113-087-3. Retrieved 20 June 2012. Levitsky, S. L. (1964). Introduction to Soviet Copyright Law. Library of Congress Catalog Card Number 58-33118. Leiden: A.W. Sythoff. Lumbard (June 30, 1976). "Terry GILLIAM et al., Plaintiffs-Appellants-Appellees, v. AMERICAN BROADCASTING COMPANIES, INC., Defendant-Appellee-Appellant". United States Court of Appeals, Second Circuit. Retrieved 2012-06-21. Manton (March 11, 1929). "NUTT v. NATIONAL INSTITUTE INCORPORATED FOR THE IMPROVEMENT OF MEMORY". Circuit Court of Appeals, Second Circuit. Retrieved 2012-06-25. McDowell, Edwin (January 31, 1987). "SALINGER V. RANDOM HOUSE, A GRAY AREA FOR PUBLISHERS". The New York Times. Retrieved 2012-06-14. Meskill (April 5, 1976). "Rebecca REYHER and Ruth Gannett, Plaintiffs-Appellants, v. CHILDREN'S TELEVISION WORKSHOP and Tuesday Publications, Inc., Defendants-Appellees". United States Court of Appeals, Second Circuit. Retrieved 2012-06-21. Mishler (June 15, 1977). "WAINWRIGHT SECURITIES INC., Plaintiff-Appellee, v. WALL STREET TRANSCRIPT CORPORATION and Richard A. Holman, Defendants-Appellants". United States Court of Appeals, Second Circuit. Retrieved 2012-06-21. Nimmer, David (2008-05-22). Copyright Illuminated: Refocusing the Diffuse US Statute. Kluwer Law International. ISBN 978-90-411-2494-4. Retrieved 2012-06-24. O'Connor (May 20, 1985). "HARPER & ROW v. NATION ENTERPRISES, 471 U.S. 539 (1985)". U.S. Supreme Court. Retrieved 2012-06-21. "Order against Zedler, rejecting his request for privilege, Leipzig". 12 October 1730. Patry, William (2012-03-08). How to Fix Copyright. Oxford University Press. ISBN 978-0-19-976009-1. Retrieved 2012-06-19. Patterson, L. Ray (Fall 1993). "Copyright and "the Exclusive Right" of Authors". The Journal of Intellectual Property Law. 1 (1). Retrieved 2012-06-21. Perle, E. Gabriel; Fischer, Mark A.; Williams, John Taylor (1999-06-01). Perle & Williams on Publishing Law. Aspen Publishers Online. ISBN 978-0-7355-0448-6. Retrieved 2012-06-13. Port, Kenneth L.; Halpern, Sheldon W.; Nard, Craig Allen (2011). Fundamentals of United States Intellectual Property Law: Copyright, Patent, Trademark. Kluwer Law International. ISBN 978-90-411-3342-7. Retrieved 2012-06-21. Posner, Richard (2009-06-23). "The Future of Newspapers--Posner". The Becker-Posner Blog. Retrieved 2012-06-17. Rajan, Mira Teresa Sundara (2006-09-01). Copyright And Creative Freedom: A Study of Post-socialist Law Reform. Taylor & Francis. ISBN 978-0-415-70207-2. Retrieved 2012-06-21. Rigamonti, Cyrill P. (Summer 2006). "Deconstructing Moral Rights" (PDF). Harvard International Law Journal. 47 (2). Rooijen, Ashwin Van (2010-06-01). The Software Interface Between Copyright and Competition Law. Kluwer Law International. ISBN 978-90-411-3193-5. Retrieved 2012-06-19. Saint-Amour, Paul K. (2011). Modernism and Copyright. Oxford University Press. ISBN 978-0-19-973153-4. Retrieved 2012-06-19. "SALINGER v. RANDOM HOUSE, INC., 811 F.2d 90 (2nd Cir. 1987)". Cornell University Law School. Retrieved 2012-06-13. Samuelson, Pam (2005-06-15). "The Story of Baker v. Selden". UC Berkeley. Retrieved 2012-06-21. Sneed (March 11, 1985). "Ted BERKIC, Plaintiff-Appellant, v. Michael CRICHTON, Robin Cook, Marvin Moss, Metro-Goldwyn-Mayer/United Artists Entertainment Company, Defendants-Appellees". United States Court of Appeals, Ninth Circuit. Retrieved 2012-06-19. Standler, Ronald B. (2009). "Ideas Not Copyrightable" (PDF). Retrieved 2012-06-21. Stim, Richard (2010-11-03). Getting Permission: How to License & Clear Copyrighted Materials Online & Off. Nolo. ISBN 978-1-4133-1270-6. Retrieved 2012-06-19. Winn, Jane K. (2006). Consumer Protection in the Age of the 'Information Economy'. Ashgate Publishing, Ltd. ISBN 978-0-7546-4709-6. Retrieved 2012-06-24. This page was last edited on 22 December 2018, at 06:26 (UTC).